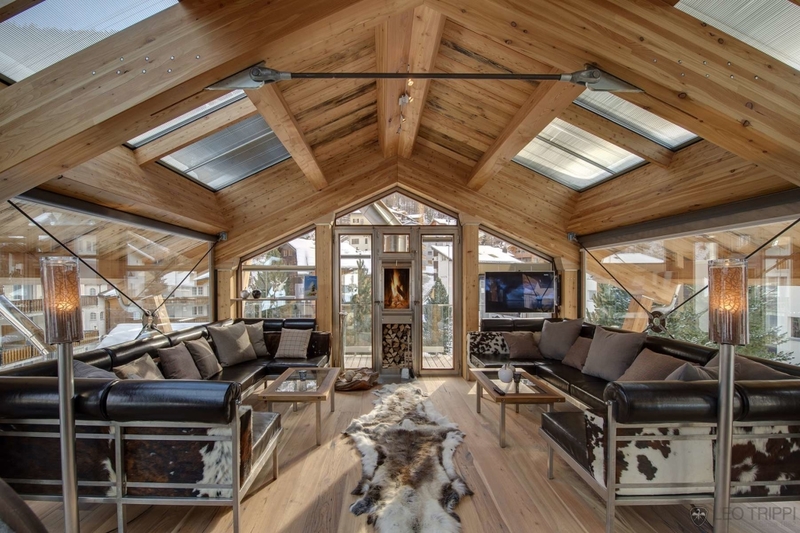 The Backstage Luxury Chalet is situated in a quiet residential district in the center of Zermatt- Municipality in Switzerland. 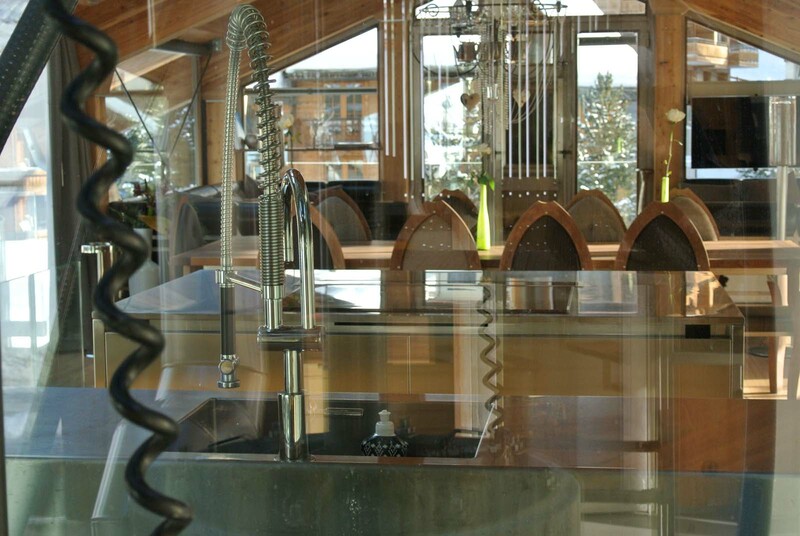 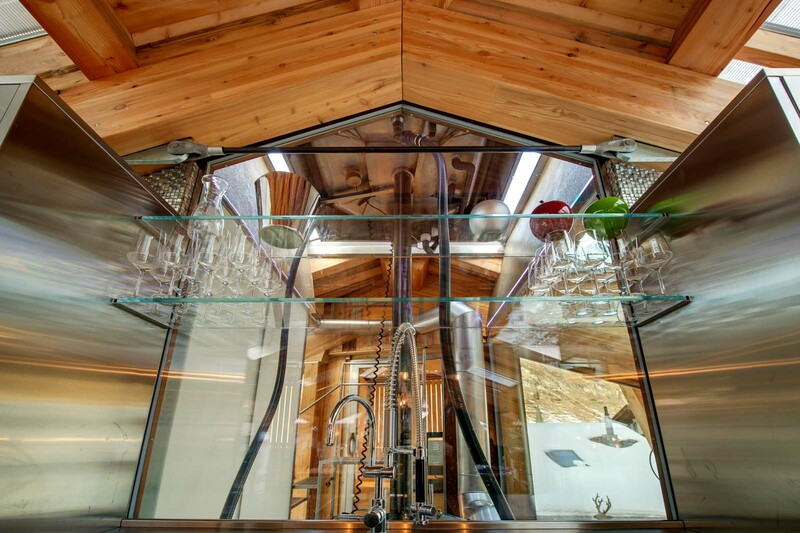 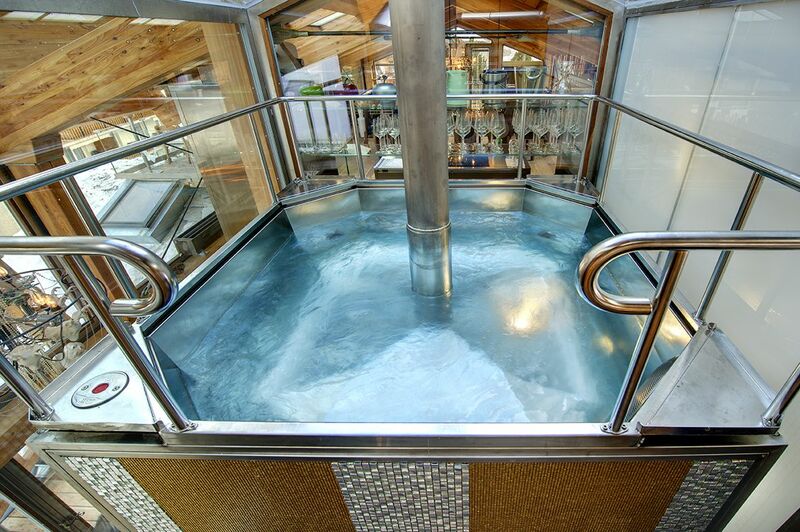 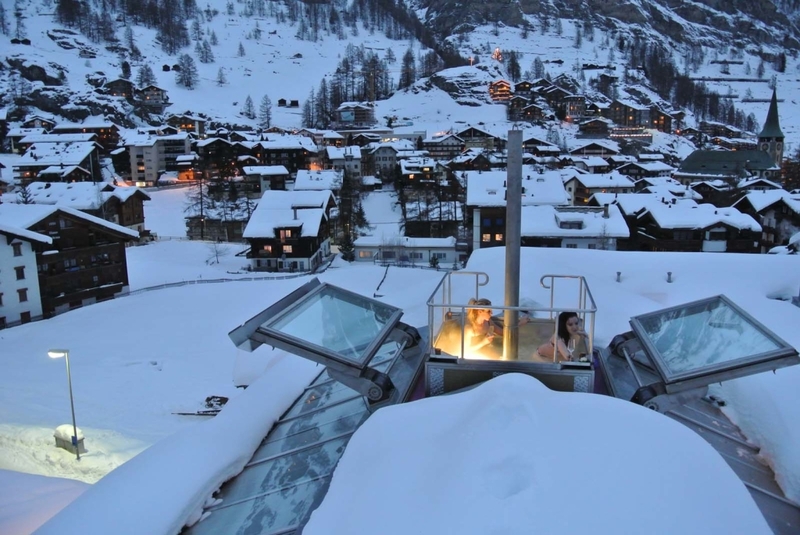 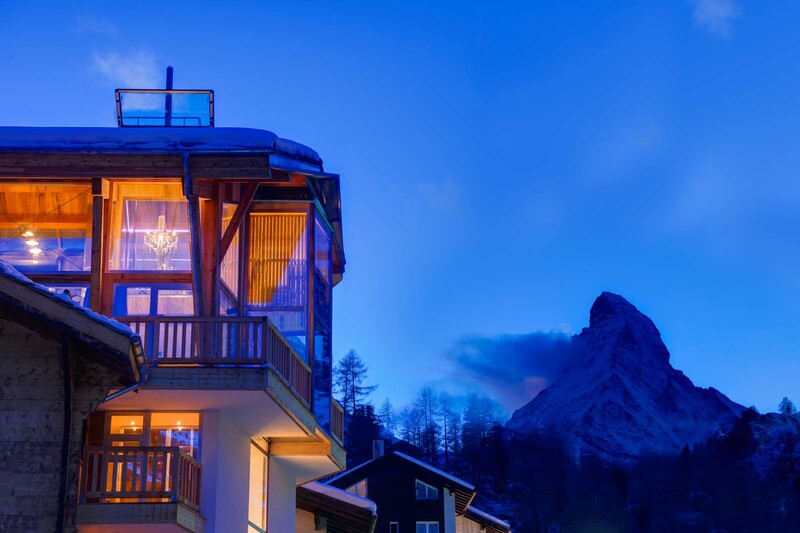 This glamorous and completely unique Chalet is creation of legendary Zermatt artist and designer Heinz Julen. 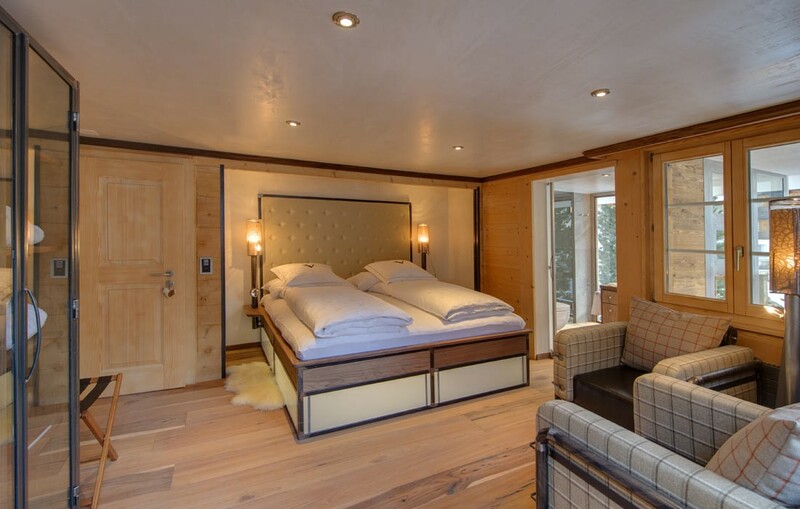 All the furniture and furnishings have been developed and manufactured in the Heinz Julen studio in Zermatt. 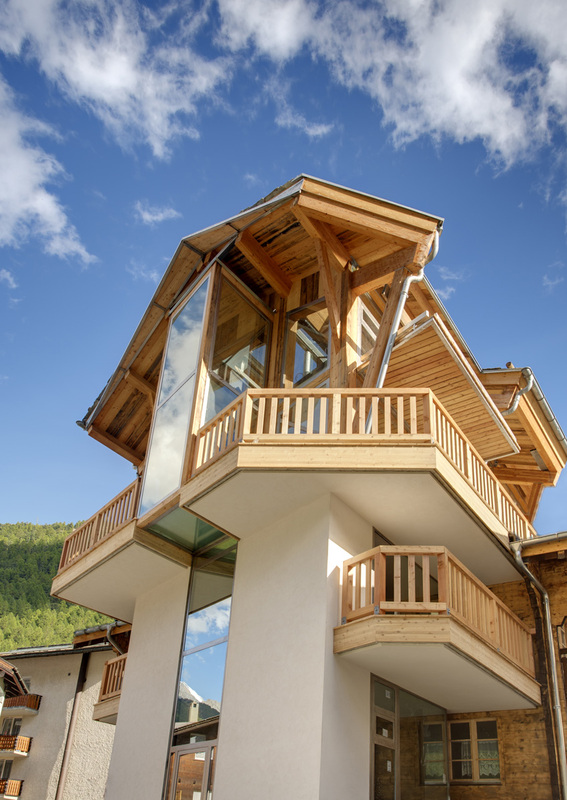 This striking, angular conception is based on an old Valais house with an ultra modern extension above made entirely of local larch and glass giving 360-degree views over Zermatt village. 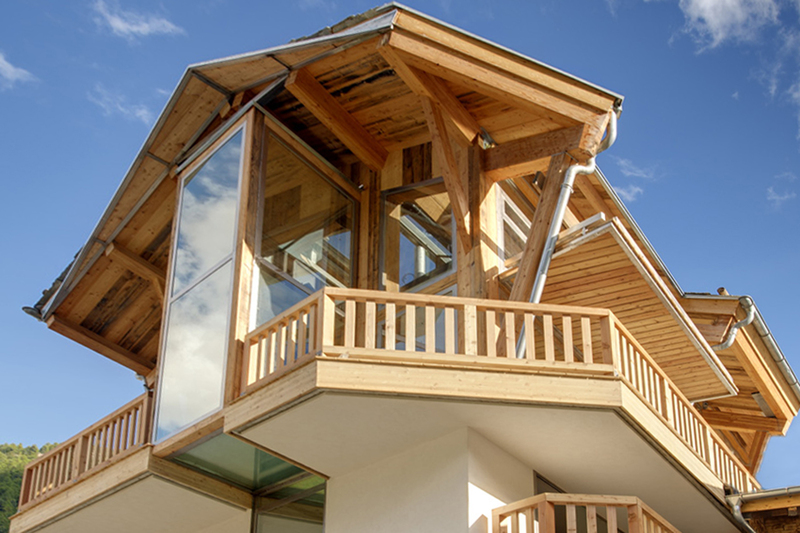 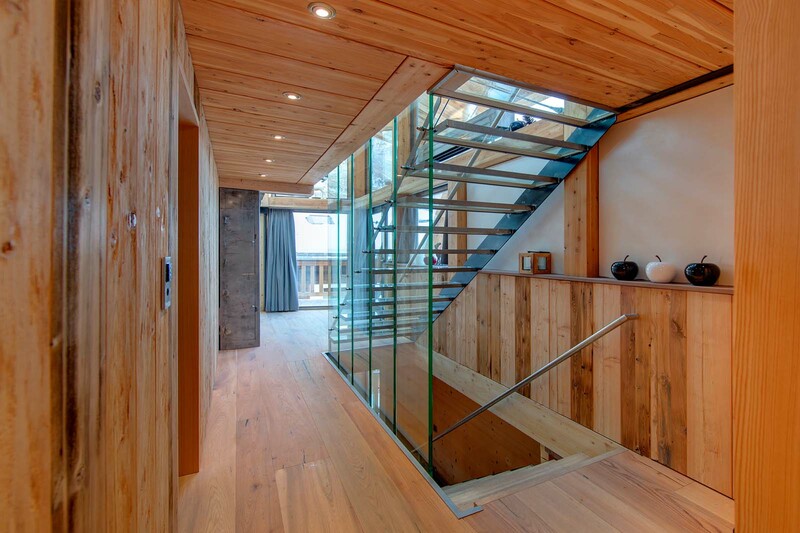 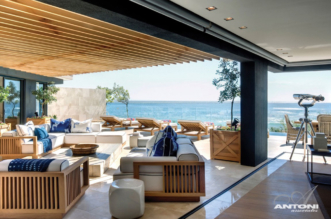 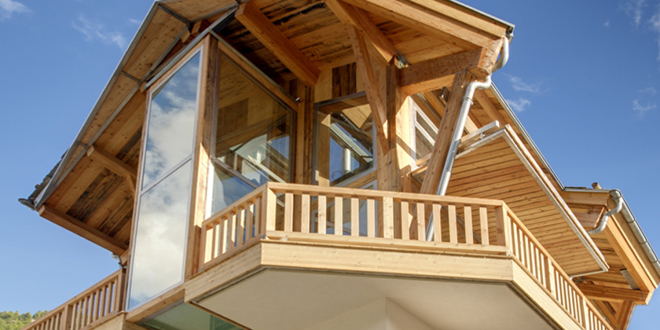 The Chalet has an overall surface of 320m². 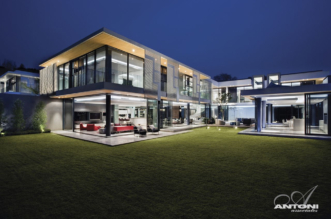 It has 5 double bedrooms. 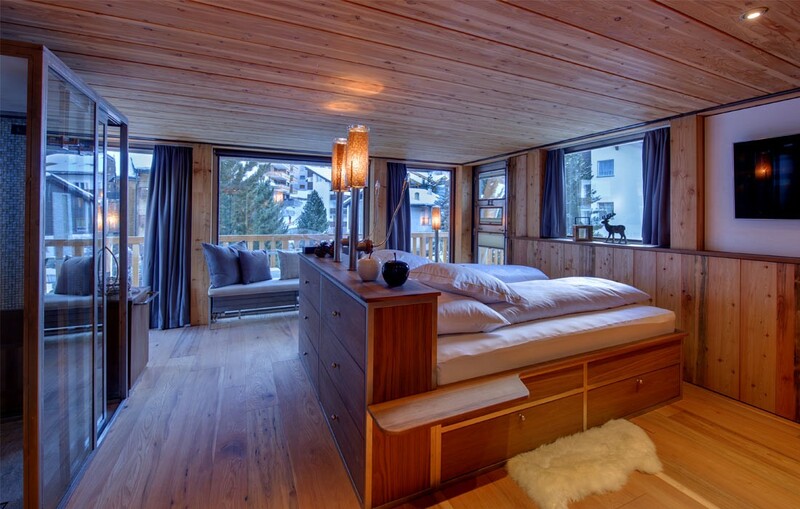 The bedrooms are spread over two storeys below. 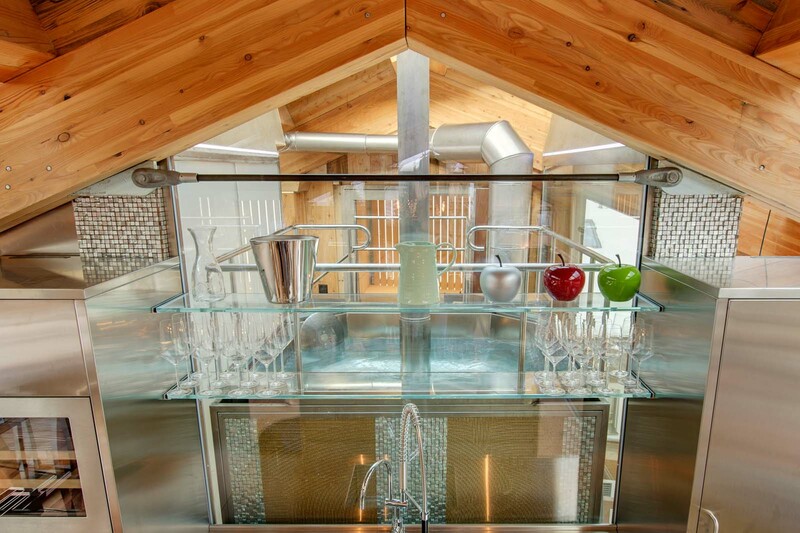 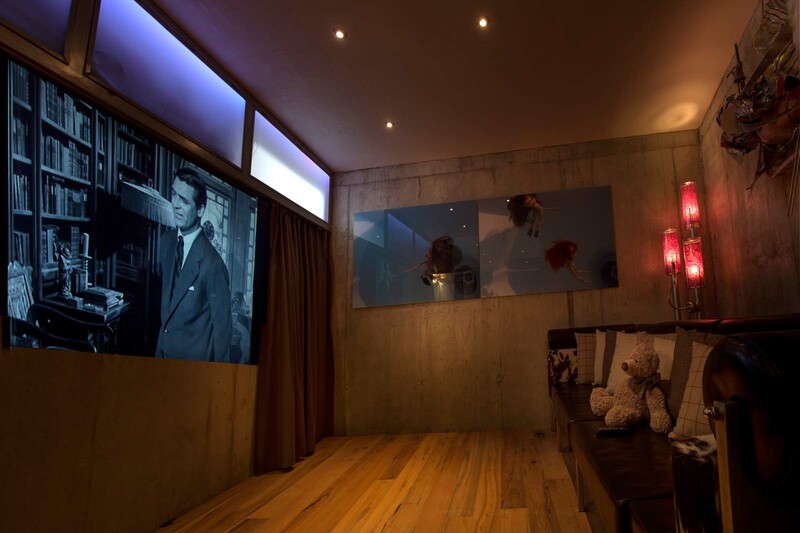 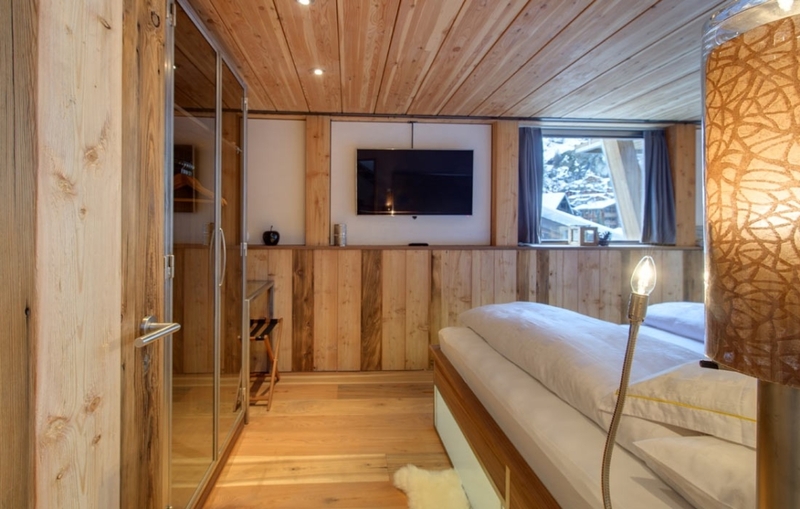 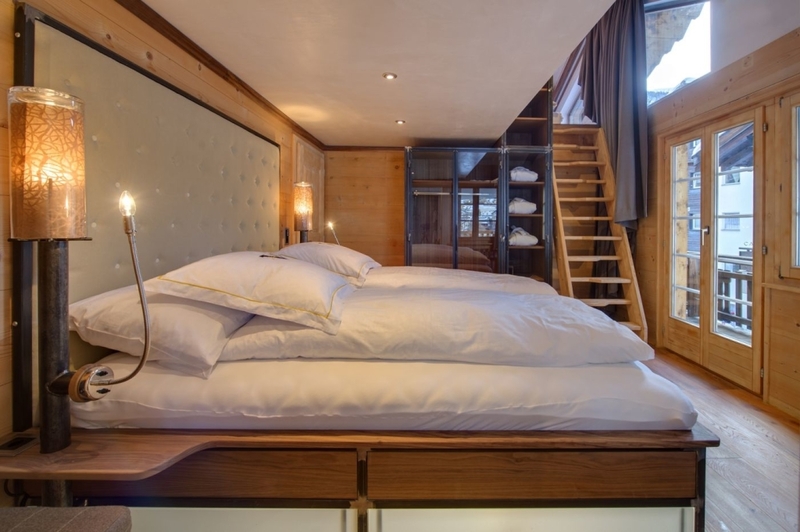 Right down in the basement, the luxury chalet has a small private home cinema and children’s playroom where also can be found a toilet and a shower. 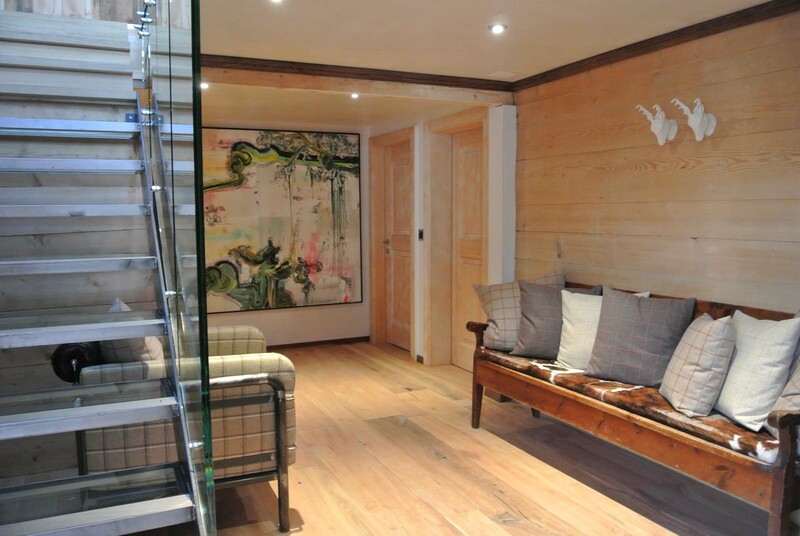 All these rooms have an access to a private elevator who is serving all floors. 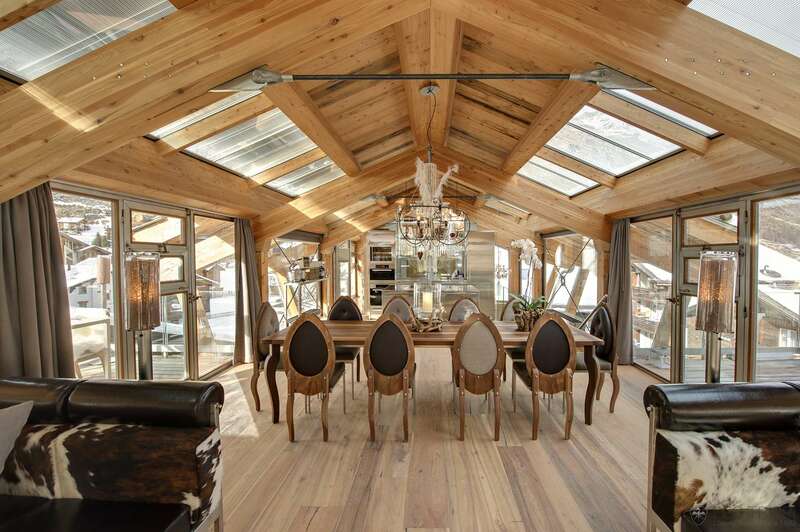 The roof structure has open gables, and provides an open living, dining and kitchen space, with the fireplace giving the place apleasant atmosphere.On the other end of the room, opposite the fireplace there is a spectacular pool – a fascinatingly small feat of engineering, that is probably unique among its kind worldwide.The pool is hydraulically lifted above the roof and with the press of a button the roof opens. 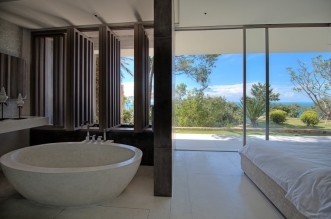 The view from there is marvelous.